Fresh out of the patriotism-drenched self-congratulation of the Olympics, it’s not as if we are in need of further excuses to hear Vangelis’ iconic, now numbingly ubiquitous theme to Chariots of Fire. Gary McNair’s play, however, casts a new and markedly less heroic gloss on the activity of running. Born from the idea that even the most exercise-shy of us are running either away from or towards something, this piece projects running as both symptom and cure, a way to escape and a way to get to where you want to be. For McNair’s protagonist Jane, running is her salvation. Diagnosed with epilepsy and struggling to cope, she discovers that going for a jog can stall her seizures, leading her to plant trainers around her house, in the office, tucked away in her handbag – at any moment, she can run away. Framed within the context of a mammoth 110 mile ultra-marathon across the North American desert, the piece opens a window into Jane’s mind as she steadily eats up the miles while desperately reaching for a decision that eludes her. 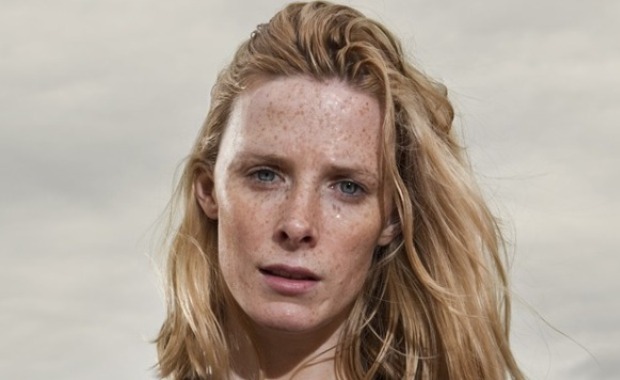 In an impressive display of stamina, Shauna Macdonald performs the entire show on a treadmill, pounding the act of running further into her identity with every step. Running is not just something Jane enjoys, it is a part of who she is – “it’s what I do” – replacing her crippling condition as a vital fragment of her identity. What McNair has created is essentially a psychological study of his protagonist, drawing both on the scientifically and anecdotally proven power of running to clear the mind and on ideas of mental refuge and escape. As Jane repeats, “it’s amazing what you can do if you don’t put your mind to it”, a throwaway assessment of human thought processes which could be given further examination. Giving rein to Jane’s thoughts and memories, McNair’s staging is fittingly simple, leaving the space around Macdonald empty save the treadmill she is running on. The only intrusions into this space are slickly executed projections which fire out questions and scroll through internet pages, visualising the ultra-connected anxiety that plagues the modern consciousness in a world in which every illness can purportedly be diagnosed through Google. Alone with her thoughts, Jane’s sole interaction is with her running app, a poisonously smug electronic voice that counts down the miles.